The select 4.0 offers all the convenience of the selectline plus a few extras that will make your sewing even more fun and creative. You can choose from 40 different stitches. Including a large variety of decorative stitches, for perfect results with any fabric. Threading the needle is so easy with the integrated needle threader, and Pfaff's original IDT™ guarantees absolutely even fabric feed from both the top and bottom. Compare the features and stitch tables of the three select models to see which one is right for you! Your Pfaff dealer will be happy to assist you! - Only from Pfaff: Simple selection of stitches with the “Easy Select System”. Simply select and sew. - The right stitch for every sewing project, including decorative stitches! - Free-motion sewing position! For all your stippling, free-motion and darning needs. - Constant needle piercing power even when you sew slowly, with thick fabrics or through several layers of fabric. - High presser foot clearance! For sewing, quilting and darning – extra-high presser foot clearance for thick fabrics and several layers. - Variable stitch width up to 5.5 mm and stitch length up to 6.0 mm. - Perfect buttonholes – Easy to do and in any length! 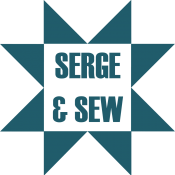 - Sew on buttons quickly with your select! - Sew in reverse to secure your seam. - Extra-slim free arm for working on tubular items like cuffs, trouser legs, necklines and more. - Many needle positions for perfect topstitching. - Bobbin winding through the needle is so easy! No need to rethread. - Winding stops as soon as the bobbin is full. - Thread cutter is easily accessible on the side of your select. - “Snap on” – Change presser feet and needle plates quickly – simply snap on and off! - Two spool pins – The main spool pin will tilt up so that you can easily slide on your thread. - The extra spool pin is available for sewing with the twin needle. - Illuminated sewing area – the sewing lamp is easy on your eyes and in the perfect position to illuminate your sewing projects. Blind Hem Foot, Zipper Foot, Buttonhole Foot, seam ripper, needle box. - Removable accessory tray – keep all of your select accessories handy. - Carrying case! To protect your select when not in use. - Only from Pfaff! The built-in original IDTTM (integrated dual feed) ensures even fabric feed from both the top and bottom! - Integrated needle threader! Makes threading easy. No more searching for the needles eye. - Darning Foot! For stippling and free-motion sewing. - Rolled Hem Foot and Fancy Stitch Foot. - Special accessory tray with a slot for each accessory. ~ Buttonhole for blouses, shirts and linen. ~ For seams and topstitching. ~ Many needle positions available for edge stitching or sewing in zippers. ~ For reinforced seams like those in trouser legs, underarm seams or decorative topstitching. ~ With many needle positions. ~ For finishing seams on fabric appliques, inserting lace, couching over cord and creating eyelets. ~ Elastic stitch for decorative hems and topstitching. ~ Strong stitch for finishing seams, sewing elastic, darning tears and applying patches. ~ Elastic, decorative stitch for ornamental hem finishing on stretch fabric, for decorative elastic application and sewing with elastic thread in the bobbin. ~ For securing hems invisibly and finishing the edges on stretch fabrics. ~ For securing hems invisibly on woven fabrics. ~ For joining and overcasting stretch fabrics in one operation. ~ Decorative stretch stitch used for decorating woven or knit fabrics. ~ Also great as a crazy quilt stitch. ~ The closed seam prevents fabric edges from fraying. ~ For joining overlapped seams on bulky fabrics like leathers and terrycloth. ~ For sewing over narrow cord for a smocked look.